The Llama Green Striped Cushion adds colour and fun to your sofa or bed! 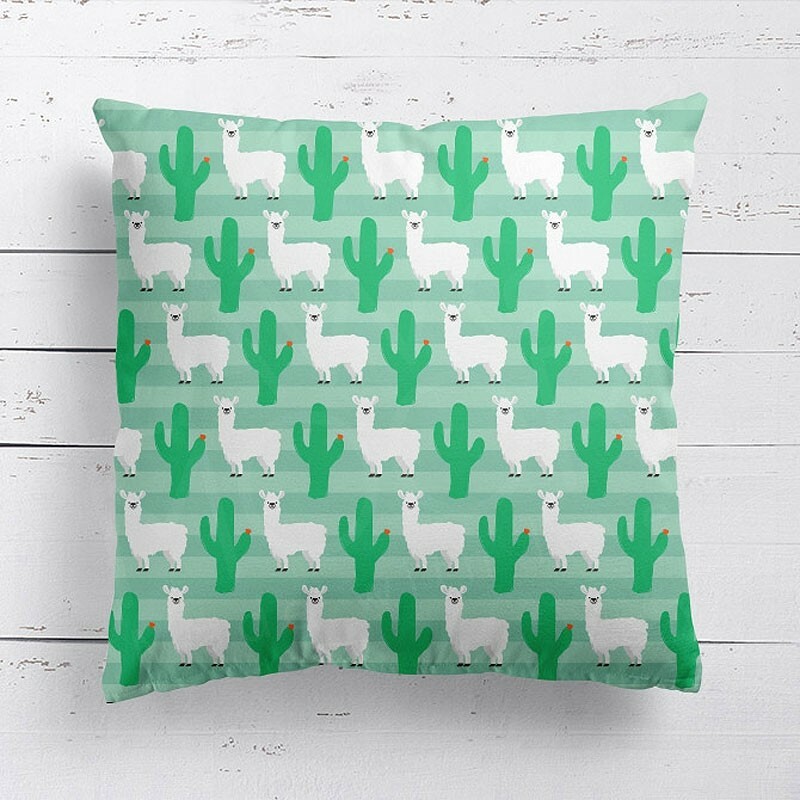 This charming design features a cartoon Llamas and green cacti print that is sure to delight any fans of this animal or plant. This colourful cushion is made from soft faux suede, giving it a luxuriously plush feel and ideal for getting comfy on. Perfect for living rooms and sofas, this cushion is sure to be a hit!